Beginning July 15 and running for four weeks through August 11 the Film Forum in New York is running an Essential Pre-Code series that goes well beyond the essentials to include many hidden gems. I’m completely in love with this schedule which is headlined by, of all people, Warren William! Inside the Film Forum’s Essential Pre-Code banner you’ll find a shot of Warren William billing him as “The Heel of Heels” letting us know that “nobody could be as suave, charming, and crooked as Warren William,” who’s featured every Thursday during the series. Also tucked into the schedule on Friday, July 22 is Gold Diggers of 1933 (1933) playing at 1:00, 4:35, 8:10. 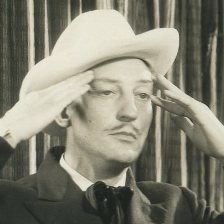 Other non-Warren William titles that I’m excited to see selected include Edward G. Robinson in Two Seconds (1932) on July 15 and 16, William Powell in Lawyer Man (1932) on July 19, Miriam Hopkins in The Story of Temple Drake (1933) on July 24, Lee Tracy in Blessed Event (1932) on August 3, Powell again with Kay Francis in Jewel Robbery (1932) on August 7 and 8 (paired with Trouble in Paradise! ), and many others including all of the obvious classics. It’s a pre-code fantasy list! Check out the entire schedule over at the Film Forum. 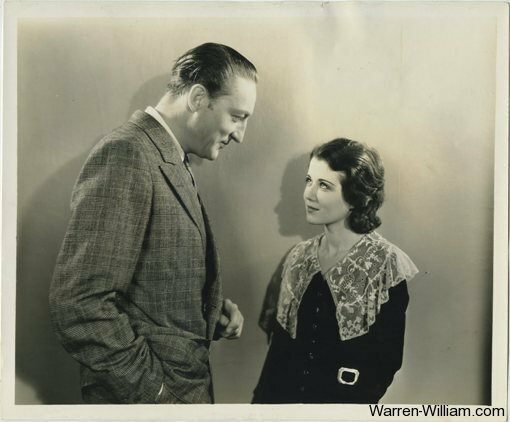 Up at the top: Warren with Sidney Fox in a promotional photo for The Mouthpiece. It’s a terrific series and sure to be fun. Other gems to be shown will be the 1931 ‘The Maltese Falcon,’ w/Ricardo Cortez and Bebe Daniels; ‘Blonde Crazy’ w/Joan Blondell and James Cagney (not on DVD); and ‘Red Dust’ w/Gable and Harlow (also not on DVD). And if I may put in a plug for my beloved Lilyan Tashman, her film ‘Girls About Town’ w/Kay Francis will also be shown, and a must-see! Yup, I was tempted to mention them all. The schedule is pretty much perfect! A perfect program. 3000 miles away. Bah.